Ugly legs, a man’s crotch and a lovely blue jacket : The hazards of reading People magazine at work. For some reason, the clinic was exceptionally light today. Just a small trickle of patients compared to the daily deluge. I don’t know whether it was the Royal wedding that kept people away, it couldn’t be, I’d like to believe it was the heat. So anyway, I just received the latest People magazine, so I thought I’d flip through a few pages. And before you wonder, I DON’T subscribe to people magazine, it must be one of the girls in the house. 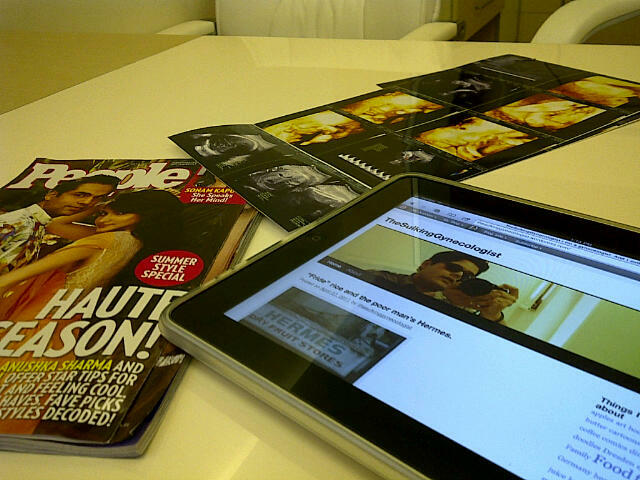 As I’m flipping around, I catch a glimpse of Rani Mukherjee’s legs. Fat and blotchy with ugly knees (it’s all about the knees for me). For people not familiar with bollywood stars, she’s as big as they come. And after seeing her legs, I mean that literally. Then, I come face to face with a male underwear ad. To all advertising gurus out there, seeing a picture of another man’s sock-enhanced crotch isn’t going to make me run out and buy a pair. Maybe if you had an in-built iPod, I’d think about it. As I flip some more, I come across a picture of Sonam Kapoor, she’s the daughter of Anil Kapoor, the hairy ‘Mill-a-naaaaiiiirrr’ guy from Slumdog. I confess, I haven’t seen any of her movies, nada. But I’ve sort of become a fan ever since I saw her taking the mickey out her colleagues on a certain talk show. Plus, I believe she has a very avant garde style of dressing. Very Valentino meets McQueen. 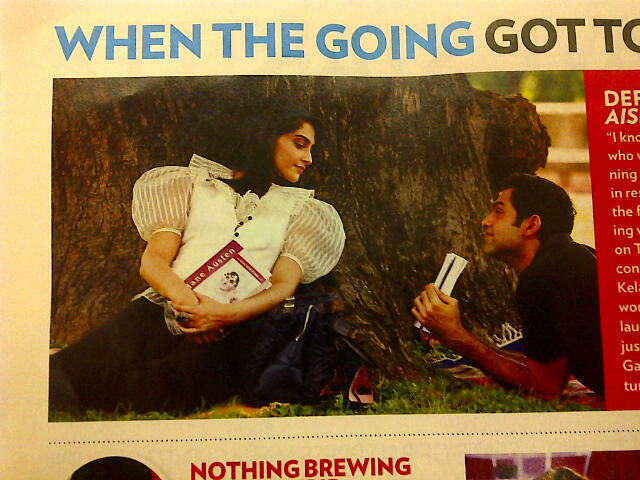 Look at her in the picture below, who’d wear ridiculously puffed sleeves like that? She has fashion courage. And now, my respect. Blimey! (In the royal wedding spirit, I shall use english exclamations), this blog entry started off as vaguely mean and condescending and has ended on a mildly horny note. Oh well. I didnt subscribe to see this. 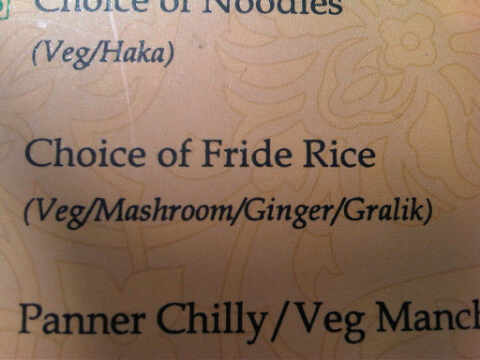 “Fride” rice and the poor man’s Hermes. 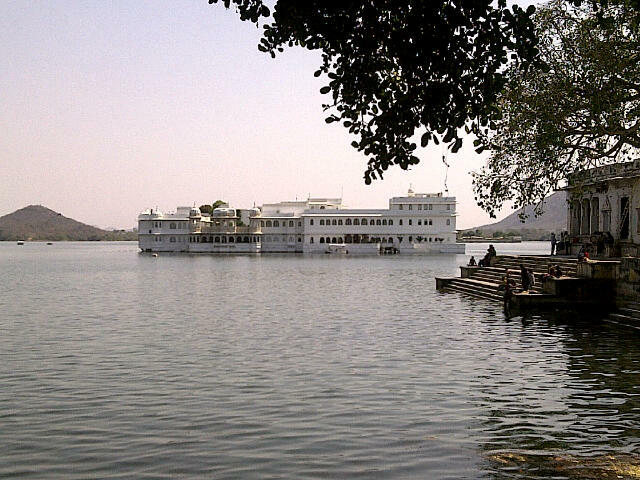 Lovely view of the lake palace, Udaipur. We went to Udaipur recently. It’s a lovely little city, ‘the city of lakes’, in Rajasthan, India. We went for lunch to this wonderful restaurant by the lake, with stunning views of the lake palace and the jag mandir palace. Everything was perfect except the spelling on the menus. I felt like leaving them a Wren and Martin as a tip. It’s ridiculous how many spelling mistakes are there in one snapshot. Fride = Fried, Panner = Paneer, Gralik = Garlic and Mashroom = Mushroom. On a side note, someone sent me this pic recently. 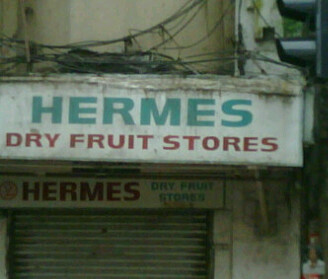 Hermes dry fruits. I wonder if the dry fruits come in an ostrich leather pouch with an ‘H’ clasp. What’s next? A Louis Vuitton lassi outlet? Anyway, found this funny. Thought I’d share. I understand that most people would find ketchup a pretty weird subject to write on. Ketchup, the bane of chefs all over the world. Ask for ketchup at a pizzeria in Italy and you risk getting thrown out, maybe I’m exaggerating, but at the very least, you risk getting a really nasty look from the chef. The problem with ketchup is that it’s often thought of as a masking agent. A panacea for all tasteless fare. It really isn’t. Let me tell you about how my relationship with ketchup has evolved over the years. 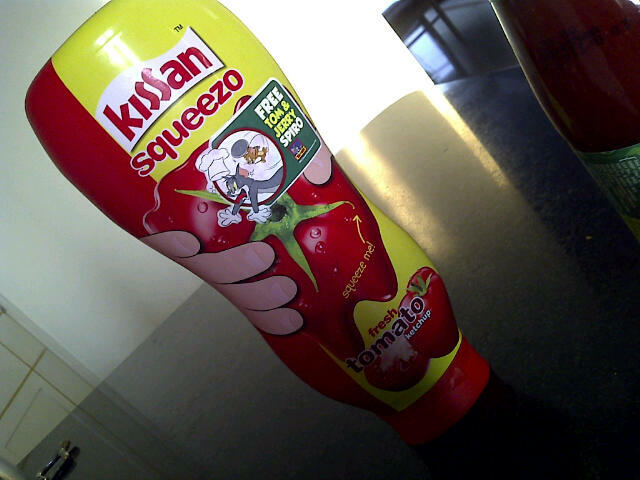 As a kid in small town India, ketchup was synonymous with the locally available ‘Kissan’ ketchup. It was India’s answer to Heinz. Same color, same consistency and came in a distinctive glass bottle which needed a good whack or two before dollops of the crimson goop splattered your plate. The taste was timeless. It went perfectly with traditional Indian snacks like samosas, replacing the tamarind or coriander chutneys which found pride of place in old Indian homes. 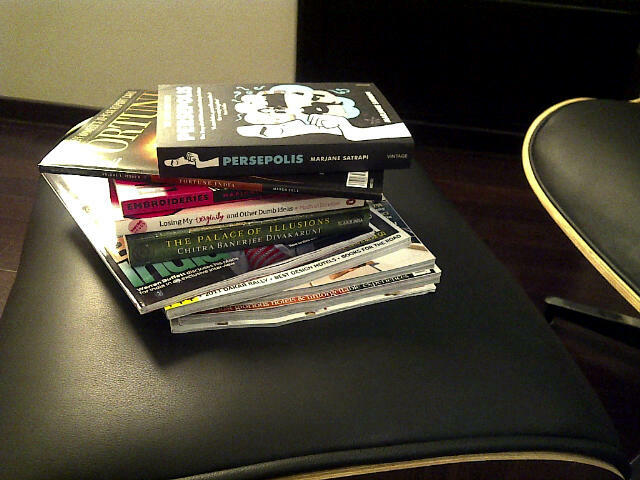 The western revolution had begun on the dining table. I was fortunate enough to be a part of India’s early globalization years. So, then came Maggi. Ads on TV played often, showing the new Maggi ketchup being ladled on beautifully crafted burgers, pizzas, samosas, french fries and I even remember an ad where a kid just licked ketchup off his plate. But, Maggi never entered our house. We are a family which does not take kindly to change. There was never any need felt to replace the old faithful Kissan. Then came the boarding school years. 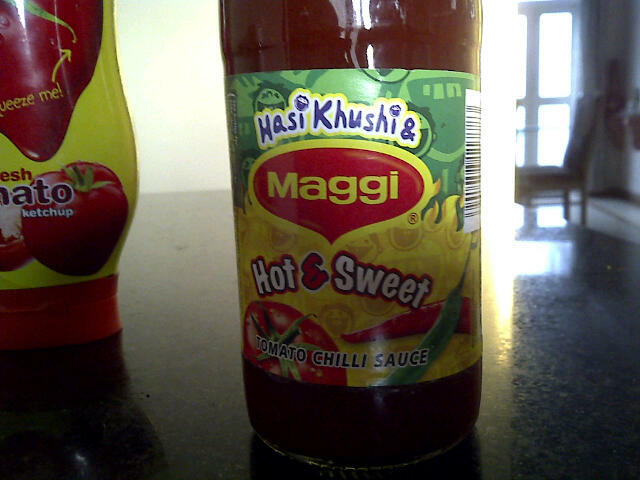 Maggi, in a stroke of unparalleled genius launched a new ‘Hot and Sweet’ tomato-chilly sauce. Launched with much fanfare starring a ‘then’ popular tv star called Javed Jaffrey, their tagline was “It’s different”. What I believe they tried to do was to bring in the slightly old Indians who stayed away from ketchup, deeming it too sweet. We Indians do like a bit of a kick in our food. I first tried ‘Hot and Sweet’ in my boarding school. And not in the conventional way. Every wednesday, saturday and sunday, my school served it’s version of Pulao. Pulao is a fragrant Indian rice preparation with peas, carrots and french beans. My school’s pulao on the other hand was brown in color with scattered peppercorns and cloves, devoid of any veggies. They served it with a watery, insipid version of mutton rogan josh. A friend of mine suggested we add a little bit of the ‘hot and sweet’ to rice, suspicious at first, I followed. The result was magic. My mouth burst alive, my palate was tingling. It was sensational. Thereafter I cannot recall ever eating that stupid pulao without a generous helping of the magic sauce. (Don’t judge me. I was 9. And hungry). Maggi subsequently launched plenty more versions, there was an onion and garlic one, a tamarind one and a chilly garlic one. But none came close to the original. So when I think of Maggi ketchups, I don’t think of it as just another product. It changed my life (and my waistline), at a time in my life when I was young, homesick and hungry for a palatable meal. It was a friend in a bottle. As time passed, Heinz came to India, it was the same as Kissan to me. Pretty ‘meh’. When we go eating at fancy places now, the chef usually has his own homemade version. So I make do with that. But at home, nothing replaces ‘Hot and Sweet’, the bright red sauce with small crimson specks, flowing effortlessly out of the bottle (no whacking required). I still get pretty upset if it’s the bottle’s empty and hasn’t been replaced. Eaten with a grilled cheese sandwich, trust me, nothing comes close, pretty indescribable. Maybe that’s why Maggi came up with the ‘It’s different’ tagline. Because, well, it is. I love drawing. Especially cartoons. It all started when I was in the 5th grade, my first year at a boarding school. I was in Scindia, by the way. I hated math and had a terrible math teacher. Also, did I mention that I was a stubborn little critter? My way of protesting was to doodle in my math book. The very first comic strip I drew was called ‘Big Mac’. It was about a guy who wanted to become a boxer against his father’s wishes. He’d get beat up every night and come home with a few teeth missing. One day, after some 70+ episodes, I got caught and ‘Big Mac’ got confiscated. And that’s all I have to say about that. 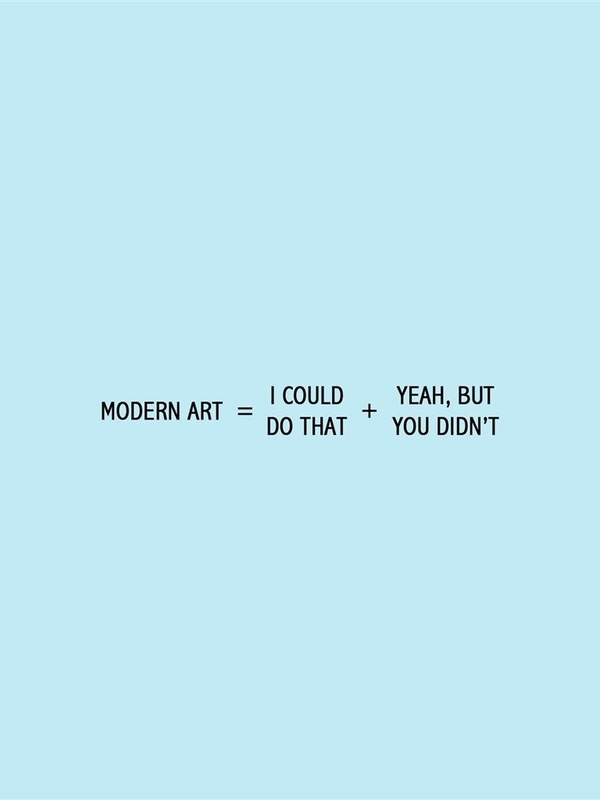 In 8th grade, I had an art teacher called Mr. Jojo Jacob, who I really liked, mainly because he encouraged me to bunk classes and hang out in the art room. He was a pothead which I learnt much later on. He was never really liked by the other teachers for his very anti-establishment outlook. In his head, the poor guy was still in woodstock. He made me start a cartoon strip mocking every teacher, one a week. All to be taken in jest of course, but it was petrifying. The teachers took it well though mainly because I kept the humor a little above the belt. 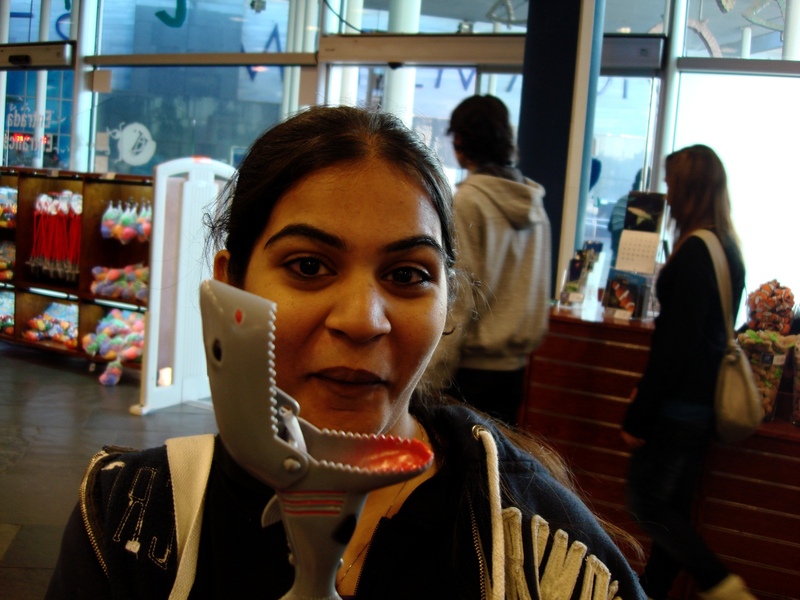 As with all Indian students, the years from 10th to the 12th grade were a blur. Periods of intense studying and even more intense praying. Getting into a medical school was not easy. Whilst in 11th, I met this bunch of really fun people, all of whom wanted to pursue engineering abroad. We had a blast and it was very sad when they left after 12th. So my third attempt at a comic strip was starring this odd bunch called ‘God Save Us’, chronicling all the good and not so good times we shared. It was the most finished product I had ever come up with, inked with special rotring pens and india ink, it looked professional. And very well received, remembered to this day. 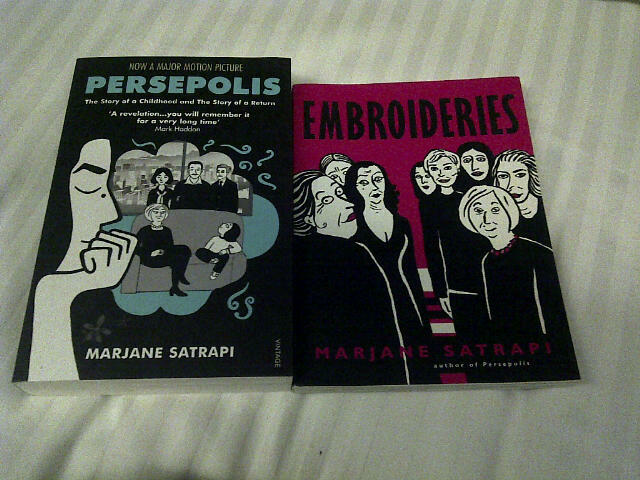 So, when I came across Marjane Satrapi’s work, namely Persepolis and Embroideries, I was taken back to what was my beloved hobby. I want to crack open my pens and dust off the cartridge paper sketch books and start doodling again. This stupid doctor profession keeps getting in the way. The only question is, who’ll be my muse? My wife? The mother-in-law (that would be a funny strip)? Or the kids in the house? 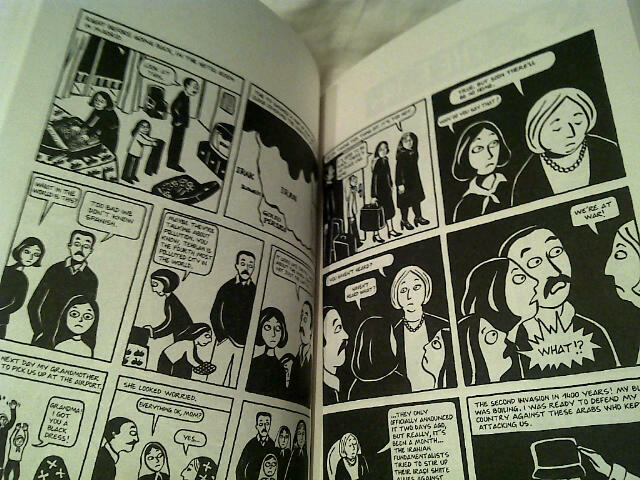 And just for that feeling of fresh enthusiasm, thanks Marjane. One of the more innovative Do Not Disturb signs I’ve come across. 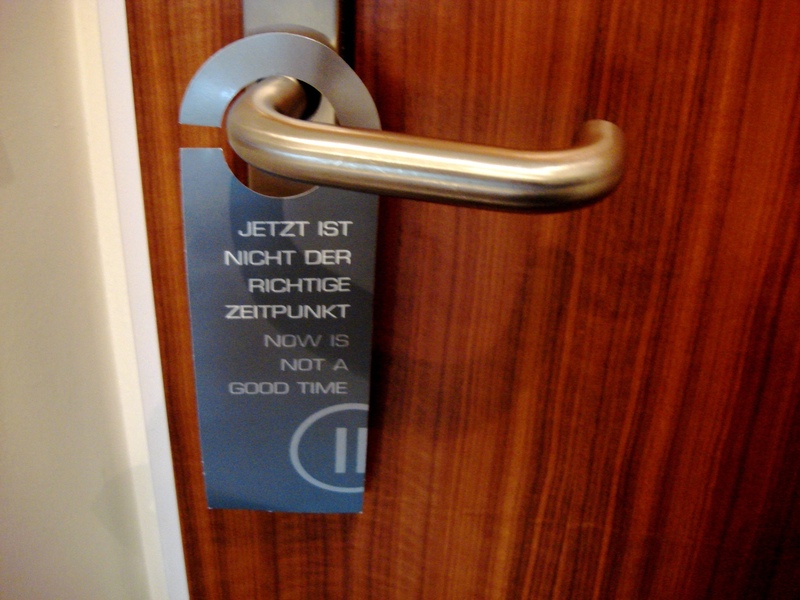 This was in the Pullman, Dresden, Germany. The thing with watching food shows on tv (so many of them now) is that you get insanely tempted to eat things which you have no access to back home. Like, what’s the point of watching top chef or masterchef and then getting a sudden craving for a really well crafted burger, which you can’t get rightaway? What’s the point of watching shows like Man vs Food when you can’t get a nice fried chicken with gravy, apple butter, southern biscuits and good ol’ american diner coffee. 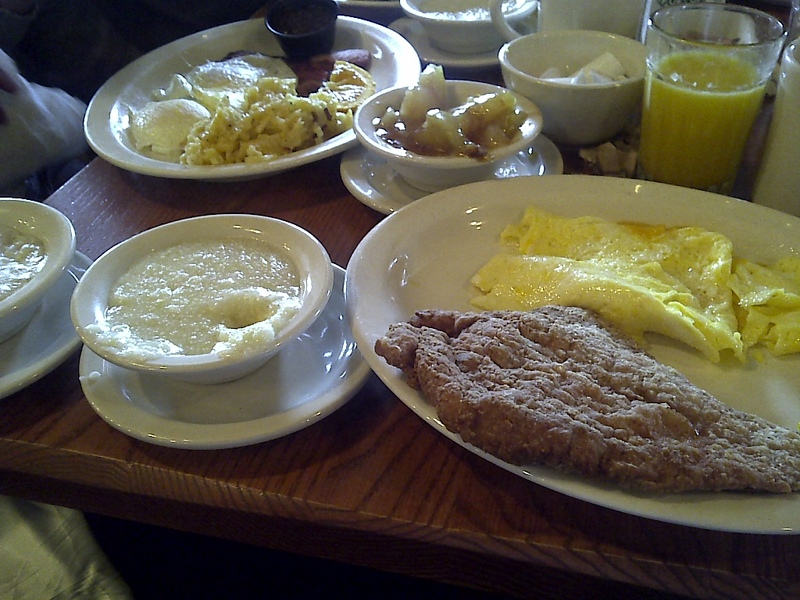 That’s why I made it a point to visit ‘Cracker Barrel’ the last time I was in US, for that authentic southern style, very high calorie breakfast.